As most of you know, ’70s-inspired pieces are huge this spring — and that includes shoes! This season, expect to find lots of earthy-toned wooden platforms (and flatforms) in stores. These chunky heels can easily be dressed up or down, making them a fun, yet versatile shoe to own. If tall heels aren’t your thing, why not try out a pair of sliver wedges? These shoes offer a subtle boost of height, while still staying super-comfortable. 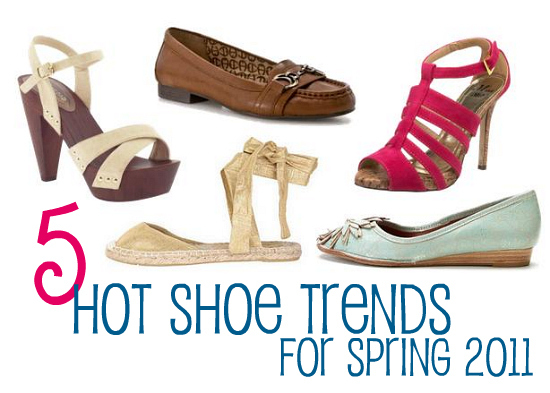 Plus, sliver wedges are ultra-hot this spring and come in a variety of styles (as you can tell from the pairs above). A total win-win if you ask me. Another type of footwear with a distinct ’70s vibe is the espadrille flat. While espadrilles are usually associated with wedges, these boho-meets-preppy flats offer a comfy, practical alternative. Swap out your go-to flats for a pair of espadrille flats and you’ll freshen up your entire look for spring. Like menswear-inspired shoes? 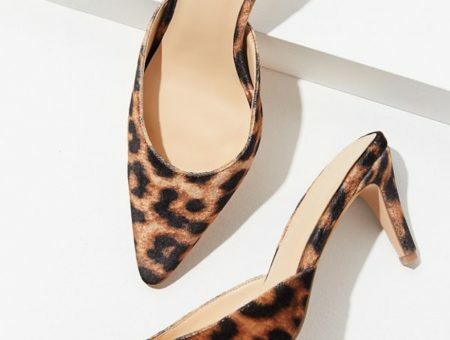 Channel your inner Katharine Hepburn and try out a classic pair of loafers. Just like oxfords, loafers add a sophisticated vibe to any look. This spring, invest in a traditional pair for a goes-with-everything look, or keep it modern with unconventional loafers, like the green ones above. Spice up your neutral clothing this spring with a pair of vibrant-hued sandals. Whether you love gladiators, t-straps, or wedge-heeled sandals, finding a brightly-colored pair you love is a simple and fun investment for spring. Pick out some sandals in your favorite color or even buy a pair in one of the season’s hottest shades. 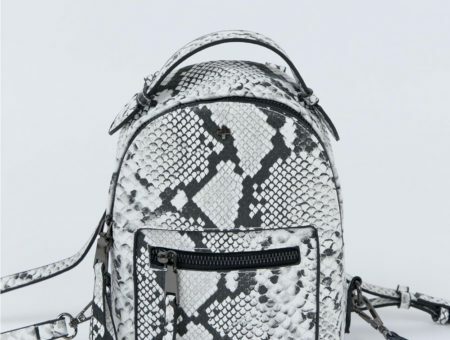 Which of these trends will you be trying out this spring? Do you have any favorites? Any trends you aren’t fond of? Be sure to leave a comment and let us know your thoughts! Next Would You Wear… All-White Clothing?